This is a Legacy Version of Windows 10. For the latest build see Windows 10 FAQs and Downloads. This guide assumes that you have already made Windows 10 TH1 Installation Media. If you haven’t already done so see the complementary guide Downloading a Windows 10 TH1 OEM or Retail .iso. If you came to this guide to take the 1 year free upgrade from Windows 7 or Windows 8.1 and haven’t initially performed this upgrade on your device before then note that you must perform a Initial Upgrade and not directly Clean Install via .iso. Doing so will give you Microsoft Product Activation issues with Windows 10 TH1. See Initially Upgrading to Windows 10 using the Windows 10 Media Creation Tool. If you don’t wish to Upgrade and then Clean Reinstall wait for Windows 10 TH2 which will allow for direct Clean Reinstallation and fixes most of the issues highlighted in this set of installation guides. Personally I don’t like Upgrade Installs but Microsoft made it a necessary evil to get the free Upgrade to Windows 10 TH1. If you have already performed the initial upgrade and want your system to function properly you can carry out a Clean Reinstall. Before Reinstalling from a Windows 10 TH1 .iso it is important that you know what Edition your previously Activated Windows 10 install was. Unfortunately most the Edition issues encountered from Windows 8 and 8.1 have simply carried over to Windows 10 although Microsoft have fixed a few of these issues – No more with Bing Editions and labelling is less confusing as Home is explicitly implied in the Home Editions. In short if you select the wrong Edition e.g. Windows 10 Instead of Windows 10 Single Language you will encounter Microsoft Product Activation Issues. Check your Windows Edition at the top and ensure that Windows is activated to the bottom. Ensure that the Edition of your Windows 10 Installation matches your activated version otherwise you will have Microsoft Product Activation issues. Power down your computer. Disconnect any external hard drive(s) and any USB peripherals such as printers/scanners. It is recommended to install Windows 10 in a UEFI BIOS with SecureBoot enabled. These settings should automatically be applied to any system shipped with Windows 8 or Windows 8.1. If your system <2010 and had Windows 7 previously installed ignore mention of UEFI as your system doesn’t have a UEFI BIOS. Ensure the mouse and keyboard are connected. Insert the Windows 10 Bootable USB that you made via the Windows 10 .iso (If installing in UEFI make sure the Bootable USB is setup for UEFI). If your system is newer than 2011 its recommended to use a UEFI Boot and a GPT partition scheme; this is faster and more reliable. The boot manager should mention a UEFI Boot similar to below. For systems older than 2011 you will have to just use the legacy boot with the MBR partition scheme which will be listed by default. There will be no mention of Legacy or UEFI Boot but the boot option will be legacy. If you wish to install Windows 10 32 Bit (unrecommended) on a 2012 or later system you will need to disable SecureBoot and enable legacy boot options. Select boot from from USB respectively. You will be presented with a black screen. Now you will be asked for a product key… Whoops!!! This is the screen which upsets most of Microsoft’s customers…. Windows 8/8.1 UEFI BIOS SLP keys – In my opinion this is a big mistake by Microsoft as it would save many product activation issues and these have a really nice product activation mechanism (TH2 will accept these). Windows 8/8.1 Retail keys – Again a mistake as Windows 10 is essentially a free upgrade to all Windows 8/8.1 Retail users. I don’t see the reason separating out these keys (TH2 will accept these). Windows 7 Generic OEM SLP keys – This was never expected to be the case due to ease of piracy of this old activation mechanism. Windows 7 Unique Windows 7 OEM keys from COAs – This was never expected to be the case due to ease of piracy and additional difficulty from fading OEM COAs that had poor print quality (TH2 will accept these). Windows 7 Retail keys – Again a mistake as Windows 10 is essentially a free upgrade to all Windows 7 Retail users. I don’t see the reason separating out these keys (TH2 will accept these). This would save a great deal of hassles end users are experiencing with Windows 10 Reinstallation. If you have upgraded from Windows 7 or 8.1 i.e. installed Windows 10 on your device before note that you do not have a Windows 10 Product Key. The product activation mechanism is device based and keyless. Keyfinders such as Berlarc Advisor will find a generic key and this should not be used. In short your only option is to select skip unless your intent is to buy Windows again. Update 16/10/2015 It appears Microsoft has been reading installation feedback from these guides. The good news is that this will be amended in Windows 10 TH2 (coming soon). Windows 10 TH2 will accept Windows 7 OEM keys printed on an affixed Code of Authenticity and it will also automatically input a Windows 8.x UEFI BIOS Embedded System Locked Preinstallation Key. It will also accept Windows 7, Windows 8.1 and Windows 10 Retail product keys. More details are available here Microsoft fixes Windows 10’s Digital Deployment with 10565 TH2 (Beta). With Windows 10 TH2 Windows will finally be digitally deployed correctly. On the next screen you will be given the option to “Upgrade” or “Clean Reinstall”. I don’t know why anyone would ever select Upgrade especially since booting from Installation Media doesn’t carry over the product activation from the old version of Windows 7/8.1. Again if you skimmed over my earlier warning and are attempting to Clean Install Windows 10 as a Free Upgrade to Windows 7/8.1 see Performing the Initial Upgrade using the Windows 10 Media Creation Tool. To Clean Reinstall select Custom. The following steps will result in loss of data so cancel the installation and backup your data to an external hard drive or cloud storage if you haven’t already done so. In the next screen you should be shown your hard drive(s)/Solid state drive(s). If you don’t and have a blank screen as shown you will need to Load Driver… For more details see Preparing and Loading Preinstallation SATA Drivers. Note: In most cases Windows 10 Installation Media should have the SATA Storage Controller inbuilt and hence there is no reason for you to load the preinstallation SATA driver. As a general rule of thumb if Windows Installation Media is significantly newer than your System the Storage Controller is inbuilt. Microsoft promise to keep Windows Installation Media relatively up to date so the need to load Storage Controller drivers should become relatively rare. If on the other hand you get the error message “A Required CD/DVD Device Driver is Missing” then your Installation Media is corrupt and you should make new Windows 10 Installation Media. In the majority of cases the HDD/SSD will already be listed… The partitions listed will differ from system to system aswell as the number of drive(s). In this step you want to delete all the partitions on the SSD/HDD (SSD recommended) that you want to Install Windows on so all the storage on the drive is unallocated space. Note if you have previously used DiskPart or Cleaned up the SSD/HDD the drive will already show as unallocated space. Cleaning up a HDD/SSD should be done in advance of Windows Installation and is particular important if you are Clean Reinstalling to get rid of a virus/malware infection or plan to sell or hand down your Windows 10 device. If you have any other HDDs/SSDs that have an Operating System its recommended to delete all the partitions on these in a similar manner in order to prevent an unwanted dualboot. Note external hard drives and USB flash drives may also be listed here which is why it was recommended to remove any unnecessary USB peripheral devices to save confusion. Data drives should be left alone aswell as the Windows 10 Bootable USB. 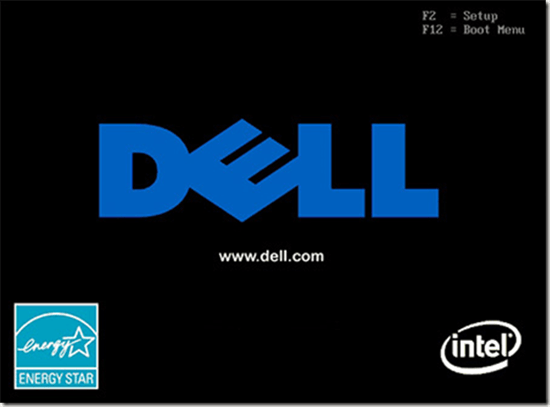 Dual Boot Note – Advanced Configurations only!!! For a system with multiple SSD/HDDs multiple Drive numbers will show. You can only delete the partitions on the SSD/HDD (SSD recommended) that you intend to install Windows on. If you have Windows/Linux installed on another drive this will make a Dual Boot. Alternatively you can delete all the partitions on other drive(s) in order to prevent an unwanted Dual Boot. I do not recommend Dual Booting and even less on the same Drive. In general I prefer virtualisation. I will demonstrate a UEFI install on a 120 GB SSD in a Latitude E5510. This lists the single internal SSD as Drive 0. The drive had a Windows 7 Professional factory settings previously upgraded to Windows 10 Pro and was reverted back to Windows 7 Professional. It has two small partitions (UEFI) and the main OS partition aswell as the recovery partition. Select each partition on the Drive you want to install Windows on, in this case Drive 0, then select Delete systematically. I will start on the Recovery Partition. Note theres no point in keeping the Recovery Partition (this will vary in size from system to system) while carrying out a Clean Reinstall as it’ll no longer function. Moreover even if it did work it’ll recover to an obsolete version of Windows. Select ok. Then delete all the other partitions on the drive in a similar manner…. Your computer will restart and Windows will take some time to get your devices ready. Note if you are going to sell or hand down your Windows 10 Device, you can force shut it down here and remove the Windows 10 Installation USB…. The new owner can continue with the setup. If your system is not activated, leave it online for an hour or so, then restart and recheck. Is there an advantage of creating GPT partitions for a 64 bit install for computers that were built in 2011 or earlier, but no UEFI? I ask this because on some computers I dual boot on the same drive & have read that not only does GPT lift the 4 primary partition limit, also reported performance gains & less chance of disk corruption. As the GPT scheme saves the boot code in more than just one area of the drive.This would be good to know before I clean install Windows 10. GPT is not new, has been around since the XP 64 bit days (one of the worst OS’s I’ve ever ran), and all 64 bit users can use GPT. On the other hand, 32 bit OS’s, at least through Windows 7, maybe higher, won’t install on a GPT initialized HDD/SSD. Unless there’s another reason that I’m unaware of, there’s no reason not to use GPT formatting for 64 bit OS installs. The only catch is that one has to initialize the MBR drive to GPT, a simple step using a partition tool. If the bootable USB is setup for a UEFI BIOS (with GPT) it usually cannot be seen in the boot menu in a Legacy MBR BIOS. I therefore have never managed to install Windows in such a configuration. My advice is to stick to MBR on legacy computers. When installing Windows 10 fresh to a new SSD, do you recommend disconnecting the old HHD drive then starting with the USB based installation? I tried doing it with it connected and I was having issues after rebooting a second time, was able to get into new OS once then corrupted on restart. It depends what you are doing, I would advise wiping the drive if its got an OS on it otherwise you may setup an unwanted dual boot. Could have been to do with two System Partitions, which ‘confuses’ the OS, this happens on any modern OS (7, 8 & 8.1) as well as 10. The OS sees these still & this can cause issues, has for me in the past, why I no longer do this. The issue at hand becomes the OS may not know which is the ‘real’ System partition, plus there’s those others that trails behind Windows 10 (& 8.1) that I’m not exactly sure of their purpose. I do know that every time a SP (or point release) is added, another of these partitions shows. Even if you were to use the Pro Pack to upgrade 10 Home to 10 Pro, another of these will be created, they’re usually 1024MB in size. This can happen during post clean install or months afterwards, it’s OK to backup the old install for just in case, but I recommend performing this task it with a WinPE bootable CD (or Flash drive) backup/rescue/clone software, and Macrium Reflect V6 Free version offers all of this at no charge. It’s a powerful, free software & even offers the option with their latest version to create a Boot entry for access, they recommend (& so do I), to still create media, if only a CD, for just in case the bootloader becomes corrupt. This added Boot menu option is under the ‘Other Tasks’ tab & be sure to create a WinPE media to meet your environment, though if a native UEFI MB with GPT partitioning is present, the correct WinPE version, the bottom option will be selected for you. You’ll need to agree to let some WAIK files from Microsoft to download (Macrium handles this), just enough for the WinPE rescue media/WinPE preboot environment to work. No other free backup software offers all of these perks at no charge. You can even turn that HDD into a backup one after formatting, though due to the various crypto based Malware attacks of the last couple of years, I recommend installing into an external enclosure or HDD/SSD docking station that will usually accept both sizes. And be sure to physically remove the backup cable to the computer after use, powering off the drive alone may not be enough protection, especially if the USB port becomes infected (rare but bot impossible). If by chance you don’t have an enclosure or docking station (USB 3.0 is recommended), you can simply leave the drive in place & plug it in only when you’re going to run a backup or restore. Just remember that should a power surge runs through that computer, your backups are at risk, another reason to unplug both the power & data cables after every use. Every time I upgrade to a SSD, the HDD becomes a backup one, with one exception, the HDD that shipped with my XPS 8700 that’s still under warranty. It was removed & placed in a box that another HDD came to me in, well padded & protected. Later on, I’ll likely either convert it into another Data drive, or may leave still as is, because my next PC will be a self built 6 core Intel i7 & may sell this one to help defray costs, though there’s a slew of XPS 8700’s on the market to choose from, I’m not giving away the PC. The CPU alone is worth $200, no questions asked, the rest, I’m unsure of. You don’t have to wipe the drive to make a backup one out of it, just format & delete the partitions, and then create a huge single backup partition for backups. This will format the drive again. What a help!! This is the best step-by-step tutorial on how to install windows 10! More over: I have a DellI Inspiron 5448 [already upgraded to WIN 10 Home Single Language, via the Microsoft offer] and I want to clean install Windows 10 on it! This is probably THE most helpful guide to any subject I have ever ran into. With it, I easily transferred from a Vista laying in my Recovery partition to Win10, just in time before upgrade expiration. Well worth of a small donation for the effort !! I will echo JC’s comments,your instructions were clear,concise and to the point.I rate it as the best guide I’ve seen so far on a clean install of 10. I did an upgrade and clean install on an 8500 Special Edition with your guide and I now have a lean,blazing fast machine…20sec to desktop and 15sec shutdown! That may not happen to everyone but it did to me,THANK YOU ! That happens when the Boot manager puts the USB before the internal HDD/SSD. It shouldn’t do this but I have experienced something similar in one or two UEFI installs. Part of the content above (the creation of a dual boot system) is why I was asking about converting SSD/HDD’s, even if native BIOS is present. If all OS’s are 64 bit, shouldn’t GPT work on any computer? The reason I ask this, is that on a forum where I’m an Advisor on (Bleeping Computer), many who wants to dual boot with Linux can’t, because there’s already 4 Primary partitions in place. For example, many HP computers built during or after 2010 included a partition named ‘HP Tools”. My advise was to create their recovery disk set, HP allows only one, so I recommend DVD’s over Flash drives. Yes they’re slower, yet more dependable, as some Flash drives aren’t bootable & many reviewers will say this. Then image the Recovery partition & delete it. Problem solved. Yet some doesn’t want to do that. The LInux installer, when finished, will create a boot entry for Windows Recovery, the Grub bootloader ‘sees’ all bootable options. My other advise was to add another HDD/SSD, I have twin SSD’s in all except one of my notebooks. Then remove the main one & install Linux, then after updating, configuring & software install, install the other back & select in the BIOS which one to boot from first. Some doesn’t want or cannot afford this option, yet that’s how I run Linux on notebooks. With GPT, the 4 Primary rule is removed. Surely non-UEFI systems can benefit, unless there’s either a MB or BIOS restriction in place to prevent GPT installs. Seems that if XP x64 & Windows Server 2003 x64 benefitted from GPT, surely a Windows 7 through 10 OS can & have a Linux dual boot. What I don’t know, and have some doubts about, is if the Recovery Media set will know what do do on a GPT initialized HDD/SSD. Philip, if needed, feel free to place this post in whatever section of your blog you wish (where this type of discussion is), yet there are many wanting to get away from Windows 10 & are experimenting with Linux Mint/Ubuntu as an alternative. Virtual machines are great, as I have a fully activated Windows 10 Pro one on my Linux Mint install via VMware Workstation Player. Yet many of our members barely has enough RAM & CPU power to run Windows, let alone add a VM with Linux to the mix. We have members wanting solutions to overcome, is GPT initialization & partitioning possible on most any computer as long as all OS’s are 64 bit? I’d like to test this theory myself, yet am unable to on the PC I’d like to, due to a power issue in my home that affects my entire workstation area. Hi Philip. I trust all is well with you and you are keeping well by the Grace of God. I must commend you for your thorough and very detailed work that helps millions of folks as myself. I have a Dell 13 5378 2-in-1 notebook that refuses to boot up after a liquid spill. After thoroughly cleaning the device, I setup to install windows 10 on it, but it just won’t have that. I have tried several windows 10 editions even to the point of using the dell os recovery tool to download the device’s own oem os, but all have failed to be recognized and booted at the boot screen. Finally, windows 10 v1507 10240 worked in uefi secure boot mode. However, if I try to update to any other edition, I will get a corrupt os. Same happens if I try to install any driver other than what the device likes, particularly the Intel serial IO driver. 2: Perform windows version upgrades as well as driver updates without the pc crashing and windows installation corrupting. If you power off your Dell and power it back on and press [F12], can you get to the diagnostics and does everything pass? If you have you got Windows 10 Version 1507. Please press [Windows] and [ r ] and type in msinfo32. Let me know, the SMBIOS version and BIOS version. Is the Boot Mode UEFI and is Secure Boot Enabled? Very pleased to hear from you even though it’s 3 years after the last reply and comment. 1. At the diagnostics screen, everything passes. 4. Boot Mode: UEFI ON, SECURE BOOT ON, PTT ON. Meanwhile, I just got hold of some old drivers for the serial io driver and it installs fine but upon restart, causes the pc to fail booting. I still can’t get any of the old / new hid sensor drivers to work. Even though I have disabled windows from updates from downloading device drivers, it still forcefully downloads them and corrupts the os because it is unable to install them. Where do you suppose I go from here? Should I just leave this pc on Windows Version 1507, Stop and disable all windows updates, and automatic / manual driver updates and just use it like that? My fear is I may install a software that may need a driver or other to work and when that happens, I will be left with a non-booting os again. It’s strange, you need to keep Windows patched as the old build has reached end of life and is not secure to use. That system should work on newer builds of Windows 10 as it is far newer than Version 1507 (and likely shipped with Version 1703 or Version 1709). Did you try clean installing the new Version 1803? You are very right when you with all you said especially the part about the build not being secure to use and the fact that the system SHOULD be able to use the more recent builds. Unfortunately, even with the most recent — 1803, the system won’t boot the usb with the iso file except if only that same usb contains 1507 file. Nothing else works — not 1607, 1703, 1709 or 1803. My BIG question is — why won’t the system boot up other builds on the same or even other usb drives? Is it the HDD or a problem with other system hardware or software?